A few years back I met Andy at the Philadephia tattoo show. 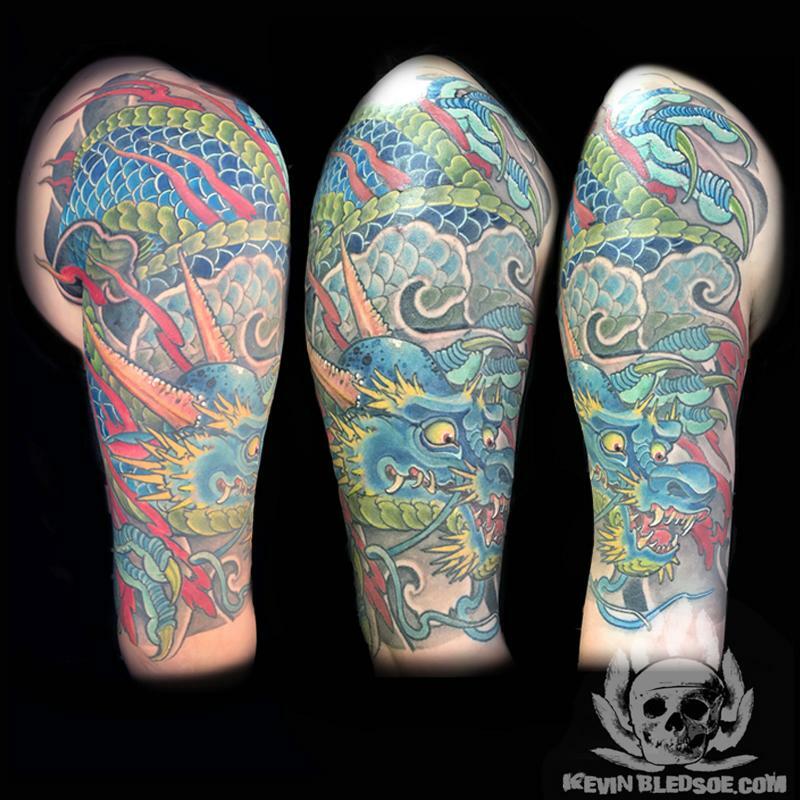 After our over the phone consultation a few months later we would start the project of a chinese dragon to half sleeve her upper right arm. 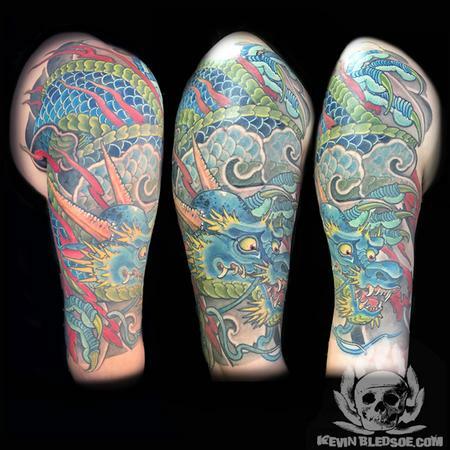 She wanted the dragons face to be light but still fierce and we accomplished just that. Done in four sessions at three locations, two sessions at my studio in Providence RI (before I would relocate to Denver), one at the Philladephia tattoo convention and the finale session in Pawtucket RI at Blackstone tattoo company. Thank you for your trust Andy!